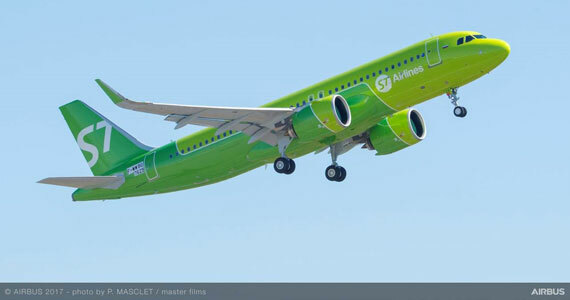 S7 Airlines, one of Russia’s leading carriers, member of Oneworld global airline alliance, has taken delivery of its’ first A320neo which is on lease from BOC Aviation. The aircraft is the first Airbus to feature the airline’s new livery and is also the first NEO to be operated in Russia. Powered by Pratt & Whitney engines, S7’s aircraft features a comfortable two-class cabin layout, (eight business and 156 economy class seats). The airline will operate the aircraft on domestic and international routes. 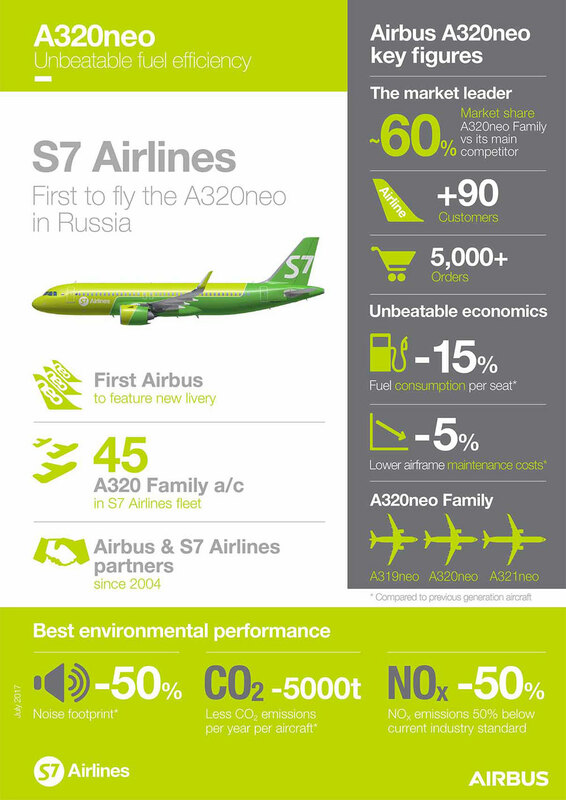 Since the first aircraft entered service in 2004, S7’s Airbus fleet has grown to 44 A320 Family aircraft. And check out their nifty infographic! Following the recent and hugely successful launch in Barcelona of International Airlines Group’s (IAG) low cost long-haul airline brand, LEVEL, the Group has selected the A330-200 as its aircraft of choice to further expand operations. LEVEL began operating in June 2017 with flights from Barcelona to Los Angeles, San Francisco (Oakland), Buenos Aires and Punta Cana, with two new Airbus A330-200s branded in its own livery and fitted with 293 economy and 21 premium economy seats. The A330 is one of the World’s most efficient and versatile widebody aircraft with best in class operating economics making it the benchmark product for the growing low cost long-haul model worldwide. The A330 is the world’s best-selling wide-body in its category. To date the A330 Family has attracted nearly 1,700 orders with over 1,300 A330 Family aircraft currently flying with more than 110 operators worldwide. With an operational reliability of 99.4 percent and various product enhancements, the A330 Family is the most cost-efficient and capable widebody aircraft to date. Boeing released its 2017 Pilot and Technician Outlook today at EAA AirVenture Oshkosh and projects a demand for more than 1.2 million pilots and technicians over the next 20 years. Now in its eighth year, the outlook is a respected industry study that forecasts the 20 year demand for crews to support the world’s growing commercial airplane fleet. The 2017 outlook shows a slight increase of 3.2 percent for pilots over the 2016 outlook, and a slight decrease in the need for airline maintenance technicians (4.6 percent), primarily driven by the reduction in maintenance hours required on the 737 MAX. For information about the Outlook, including how the data is compiled. Working well after midnight on this day in 1977, a Rockwell Collins engineer named David Van Dusseldorp sat on the rooftop of a company building in Cedar Rapids, Iowa, adjusting an antenna every five minutes to receive a signal from the world’s first Global Positioning System (GPS) satellite known as NTS-2. Within a small window of time, the satellite was turned on and the message was successfully received and decoded by the team working the GPS receiver below. Since then the technology has grown to be the standard of navigation around the world and Top Tech News: News & Product Reviews for Tech Leaders touches nearly every part of our daily lives. To commemorate the 40 year anniversary, Rockwell Collins invited retirees involved in the project to share their firsthand stories at an event held in Cedar Rapids today. Soon after successfully receiving the signal, the U.S. Air Force awarded Rockwell Collins the Navstar GPS user equipment contract. This was the first of many wins that would position the company as a market leader in GPS products for aerospace and defense. Since that time, Rockwell Collins has continued to pioneer advancements in GPS such as being the first to complete a transatlantic flight using GPS navigation in 1983. In 1994, a secure, military-grade Precision Lightweight GPS Receiver (PLGR) was first fielded that provided warfighters a tactical navigational advantage on the battlefield. And in 2014, Rockwell Collins achieved another milestone in navigation technology by successfully developing a prototype to track a satellite in the Galileo Global Navigation Satellite System (GNSS) being created by the European Union to provide global coverage for its nations. A modern version of the GPS receiver used in 1977 is the Rockwell Collins GPS-4000S, which has the ability to process the transmissions of up to 10 GPS satellites and two Space Based Augmentation Systems (SBAS) geostationary satellites simultaneously. Compared to the first GPS receiver station that was six feet tall, the GPS-4000S receiver is only 7.87 inches tall. Size and power of receivers have evolved for different applications, like the Micro GPS Receiver Application Module (MicroGRAM). The receiver is only one inch tall, can use data from up to 12 GPS satellites and consumes the least power of any receiver in its class. Other advancements in receivers include industry-leading anti-jamming and anti-spoofing technologies that are crucial to security and efficiency when used within critical military and aircraft operations. Since that historic day 40 years ago, Rockwell Collins has introduced more than 50 GPS products including GPS anti-jam and precision landing systems, and has delivered more than one million GPS receivers for commercial avionics and government applications, helping shape how the world navigates both on the ground and in the air. Asiana Airlines, one of Asia’s largest carriers, has begun revenue service with its first A350 aircraft using Panasonic Avionics Corporation’s (Panasonic) industry-leading inflight entertainment and connectivity (IFEC) solution. This first aircraft, which was line fit with Panasonic solutions by Airbus, entered passenger service on May 15th having been delivered to the carrier on April 26th. Panasonic’s eX3 system delivers a premium passenger experience through features including audio and video on demand, and a massive content library that can offer over 50 movies, 60 TV shows, games, music and more. Here is a great story on how to promote your airport (airline?) at the airport with an Augmented Reality (AR) device game. As the article notes: “Augmented reality can do a number of different things, from turning selfies into animals to creating virtual scavenger hunts, but now one more feature can be chalked up to the emerging tech — entertaining kids on an airport layover.” Perhaps, this says it all: “On July 14, London’s Heathrow Airport announced the new kids’ travel app, Around the World with Mr. Adventure, a kid-friendly game that hides digital badges throughout the terminals.” We want one! Check this out. And lastly, go see “Sully,” the movie! Why? Because it sums up what some of the best folks in the world are doing to make your travel experience successful. Remember, on January 15, 2009, a US Airways had to land in New York’s Hudson River? Yes, we know it is about a emergency forced landing of an Airbus A320-214 in New York. And yes, if you are into movies, per se, you might give “Sully” a lower grade; however, if you are into aviation, this is a 5 star treat. While Clint Eastwood (at 86) directed this movie, he made it from good available event data, and obviously one for aviation lovers. As one review notes, ”..this story pits a true hero against the scowling National Transportation Safety Board bureaucrats with their flight simulators, computer analysis and insurance worries who dare to question Sullenberger’s ability to make lightning-quick decisions in the air. They would have rather he made it to a nearby airport after a flock of Canadian geese smashed into the plane and shut down the engines—a possibility he instantly assessed was not feasible given his 40 years of experience.” As to the airplane, we think it deserves more credit for staying afloat for some 29 minutes, allowing all 155 to be rescued on the floating fuselage. Notes Wikipedia: “Author and pilot William Langewiesche asserted that insufficient credit was given to the A320’s fly-by-wire design, by which the pilot uses a side-stick to make control inputs to the flight control computers. The computers then impose adjustments and limits of their own to keep the plane stable, which the pilot cannot override even in an emergency. This design allowed the pilots of Flight 1549 to concentrate on engine restart and deciding the course, without the burden of manually adjusting the glidepath to reduce the plane’s rate of descent. However, Sullenberger said that these computer-imposed limits also prevented him from achieving the optimum landing flare for the ditching, which would have softened the impact.”. And no, we doubt if you will see it on your next flight, but you never know. Xiamen, China and Lake Forest, CA | May 24, 2017– Panasonic Avionics Corporation (“Panasonic”) today introduced HAECO Component Overhaul (Xiamen) Limited (“HAECO Component Overhaul (Xiamen)”) as an authorised repair centre for its in-flight entertainment and communications (“IFEC”) technology in Mainland China. HAECO Component Overhaul (Xiamen) is a member of the HAECO Group, specialising in providing aircraft component and IFEC repair services to airlines and aircraft operators in the Asia-Pacific region. Repairs performed by HAECO Component Overhaul (Xiamen) on behalf of Panasonic will carry the same Panasonic warranties, as repairs performed by all authorised service providers within the Panasonic repair network. The HAECO Component Overhaul (Xiamen) facility is equipped with Original Equipment Manufacturer (“OEM”) dedicated test equipment and features comprehensive spares support from Panasonic. It is also staffed by Panasonic-trained technical personnel. The component repair specialist has been a trusted partner of Panasonic in supporting the OEM’s global customers with IFEC repairs, offering competitive turnaround times, cost-saving advantages and technical support. Backed by the HAECO Group’s comprehensive aircraft engineering and maintenance operations in the region, HAECO Component Overhaul (Xiamen) also offers technical and logistics support, as well as OEM warranty administration to airlines and aircraft operators in Mainland China. Located in Xiamen, the newly introduced, Panasonic authorised IFEC repair centre is a facility approved by the Civil Aviation Administration of China (CAAC), the Federal Aviation Administration (FAA) and the European Aviation Safety Agency (EASA). IFExpress: Two Weeks To Go ‘Til AIX! IFEC’ers, it is almost here – AIX 2017 that is – and we cannot wait. Over the next few issues, IFExpress will be providing a ‘sneak peek’ from a few AIX vendors. Additionally, we have a ‘Special Story’ for the AIX Show Edition – stay tuned and read on! ACS is very busy these days with the design on their second-generation 12.1” retractable monitor. Even though their first-generation model was highly accepted in the marketplace, “We are constantly striving to give our customers what they want” says Richie Sugimoto (shown above) including a very robust design offering high value. Customers have appreciated the overall simplicity of the unit, including the lighter weight and less moving parts providing a quieter unit in operational mode. Most importantly, customers love the ease of installation when upgrading their aircraft from older monitors. These units are offered for both the Airbus and Boeing series of aircraft. They are designed for AC power and with HDSDI video input, provide a clear, crisp quality picture. The first-generation retractable monitors utilize a patented, mechanical design developed by Mr. Yukio Sugimoto and was developed to be a mechanical plug-and-play attachment to either the existing B737 PSU’s or for the Airbus planes. ACS has also been working on a new design of 4K Ultra High Definition (UHD) Modular Monitors. This new design concept allows the support of customizable input/output modules, allowing for the unit functionality with a wide variety of IFE systems. This unique design concept can meet the industry multiple demands with adding additional or different modules. This design is in the testing phase and expect production to release product to the marketplace in Q2. Available screen sizes range from 27” up to 75”. All products are designed and manufactured in their Redmond, WA facility that is an AS9100 Certified facility. ACS will be at the upcoming AIX show in Hamburg, if in the area, stop by and see all of the new technology they are working on at stand 2C30 to discuss your needs. This year’s Aircraft Interiors Expo in Hamburg will be unprecedented for Chief Executive David Withers and team as far as depth and breadth of solutions and in an increased presence both in size of booth and team in the IFEC zone, Hall B4 at stand 4E20. digEcor having recently expanded their sales team to include additional resource in the Middle East and Africa Region with the appointment of Eduardo Protasio, (from EuroAtlantic Airways) a new appointment for Asia Pacific in Stu McGraw commencing 27 March (previously QinetiQ and Virgin Australia) as well as Jorge Mompo’s appointment (previously Lumexis) as Sales Director of the America’s since AIX 2016. Headed by VP Global Sales, Paul Thorpe, digEcor are looking forward to what this will mean for the developing growth of the company and are looking forward to introducing this new team to visitors this year. digEcor has been busy these past 12 months and has a handful of announcements to make at AIX 2017 they are keeping close to their chest. The GLIDE embedded system is making headway in the market as well as the continued success of digEcor’s passenger power for 2.1A USB and 110V power solutions, including pre integrated solutions with innovative seat vendors. Since AIX Hamburg 2016 digEcor has launched four new product lines including Passenger Service Solutions, LED Cabin Lighting, Cabin Management and digEcor’s own Moving Map. digEcor’s mission to enable all airlines to create an extraordinary travel experience is still personified through their modular, flexible and tailored approach to meet the needs of airlines and vendors alike. The Integrated Flight Experience portfolio is still the only fully integrated system from one single vendor available today comprising GLIDE Embedded and Portable IFE, In-Seat Power, LED Cabin Lighting, Passenger Service Solutions, Cabin Management, Wi-Fi to stream content, ENGAGE application for crew, Tape Replacement and Content Services. digEcor is showcasing this experience at AIX this year by cabin for Economy, Premium, Business and First class. In partnership with Avio Interiors, Geven Spa, Skypaxx, Thompson Seating and Pitch Aircraft Seating Systems, digEcor is primed to educate visitors by cabin or product, depending on the interest. Over the past two years, FTS business has grown and evolved. In line with our expansion globally, across U.S. and Europe, as well as the addition of new exciting product range, it’s time for a change! With a sharp and crisp font and brighter blue used, it is a modernized look which reflects our core values – constantly innovating, cutting-edge technology and revolutionize the business. Being a newcomer, FTS strives to revolutionize the IFEC industry with new business ideas, innovative product offerings and high quality hardware. We do not follow the norm. We set ourselves apart. This is what we strive for and we are excited to share that with you. Our new logo will have its first appearance in AIX 2017. Check us out and see you at booth 2E34! Twenty One products and ideas are in the finals of the 2017 Crystal Cabin Awards, the world’s most renowned prize for innovation in aircraft interiors. From a parking guidance system for cabin baggage to a lavatory mirror that displays on-board video and information as if by magic, the finalists’ submissions include innovative ideas for pretty much every aspect of the cabin – revealing today how we will be flying in the world of tomorrow. In the field of “Cabin Concepts” in particular, the giants are lining up for a showdown: Bombardier, Delta Air Lines and United Airlines are all hoping for a trophy in the same category. With 85 shortlist entrants from 21 nations, the 2017 Crystal Cabin Awards have been more popular and more international than ever before in their 11 years of history. The seven winners of the coveted Crystal Cabin Award trophies will be announced on the first evening of the Aircraft Interiors Expo (4 – 6 April, 2017) in Hamburg, Germany. Boeing and CDB Aviation Lease Finance (CDB Aviation) announced an order for 30 737 MAX 8 airplanes. The order, valued at $3.3 billion at current list prices, was previously unidentified on Boeing’s Orders & Deliveries website. Based in Dublin, Ireland, CDB Aviation operates as a wholly owned Irish subsidiary of China Development Bank Financial Leasing Co LTD (CDB Leasing) (HKEX stock code:1606). With registered capital of $US50 million and a fleet of over 200 aircraft, CDB Aviation has over 10 years’ experience in the business and is one of the largest and most influential Chinese-owned aviation leasing companies. Barcelona, Spain | June 15, 2016– From October on, XL Airways, the French airline operating flights mainly to long-haul destinations, will install Immfly’s on board solution in their Airbus A330 fleet, serving the carriers daily flights to North America, the Caribbean and the Indian Ocean. Being fully operational by December 2016, this is the first time that the digital platform will be accessible in long – haul aircraft, branded as XL Cloud. 1. What does the full system weigh? 2. What Tablet is included or can be used (currently Apple iPad only?) and we assume there is a world of apps available? 3. Is there a way to lock the Apple devices in the power/case? 4. Can the supplier or operator load apps…We assume the user cannot? 5. Who loads the movies, where are they located, and how many minutes of total movies on hard disk of server? 6. Is there a way to notify the crew of tablet numbers without opening a storage location so the crew can remain knowledgeable about device security? 8. How do you handle planes with more passengers than iPads? 9. Who are your customers, then? 10. Since the “system” is plugged in, does the iPad device last playing movies the usual length of the iPad power per charge? 11. What is the future for SkyFlix 2 and your company? Answer: “We decided early on that commercial airlines wouldn’t be likely customers. From what we found they would be much more conservative and likely to want a certified and installed system rather then a portable one. At some point we might go that route but we think our business aviation customers much prefer the flexibility and upgradability of our portable systems. All along we talked to other companies that wanted to get into the commercial airline IFE market and they found the sales process to take an extremely long time. As they got close to a sale, a competitor would add a new feature forcing them to add something similar and restart the process. 12. How about providing our readers with some company contact information? 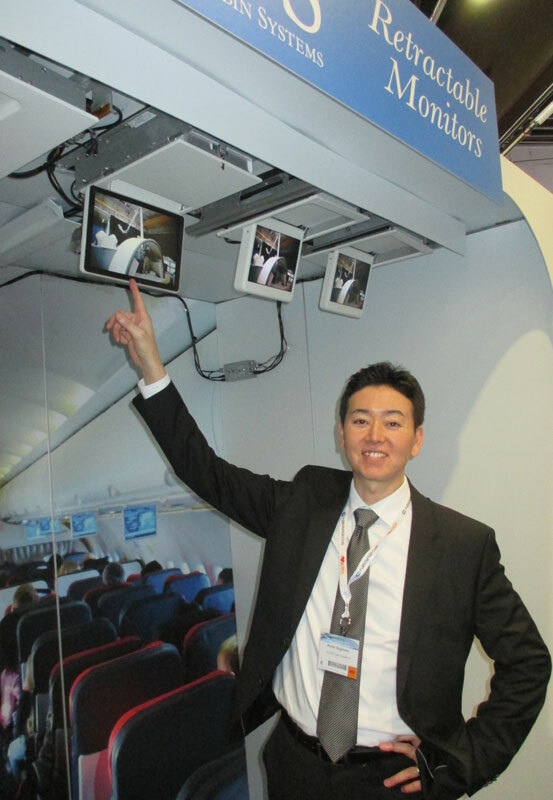 AS-IP TECH, INC.’S WORLD’S FIRST BLUETOOTH SMART INFLIGHT CONNECTIVITY SOLUTION TO BE LAUNCHED BY JETFLY Geneva, Switzerland, May 24, 2016 – AS-IP Tech, Inc. (OTCMKTS:IPTK) announced today that its distributor BizjetMobile Europe has secured Jetfly as the launch customer for CHiiMP Smart, the world’s first Bluetooth Smart inflight connectivity solution. CHiiMP Smart was unveiled at the European Business Aviation Convention & Exhibition (EBACE) as the smallest, lightest and most inexpensive inflight connectivity system in the industry that utilizes Bluetooth Smart technology to provide voice, text and email functions. At EBACE, Jetfly CEO Cedric Lescop said, “We’re excited to be installing the CHiiMP Smart system on our fleet of Pilatus PC-12’s. Our aircraft owners, crew and clients will now be able to stay in contact wherever and whenever they fly. We chose CHiiMP Smart because of its simplicity, easy installation and low operating costs. It will further enhance our commitment to be ‘simply closer’”. AS-IP Tech, Inc. CEO Ron Chapman said, “AS-IP Tech, Inc. is pioneering an alternate course of connectivity in the global aerospace industry. We expect CHiiMP Smart to show the world that our range of Bluetooth Smart connectivity solutions are an exciting alternative to the traditionally expensive Wi-Fi platform. Our ambition is to be the first in the world to deliver inflight communications to passengers for the same price in the air as on the ground. We believe AS-IP Tech, Inc.’s unique Bluetooth Smart platform will be the catalyst that upheaves traditional communication models on airlines and beyond.” Readers: Keep your eye on this technology cause it has the potential to make commercial inflight texting and email very cheap… or free! April 19, 2016– In ight Dublin (IFD), the world’s largest independent content service provider, is proud to announce a partnership with Royal Air Maroc (RAM), which will see it provide a wide range of video and audio content, as well as bespoke solutions for the airline’s web and print platforms. Under the partnership, IFD will help RAM to double the amount of content that it o ers to its passengers. It will also create a bespoke IFE Microsite that will be available in three languages, which will showcase the large variety of content and other services that will be available. This new agreement comes during a period of growth and expansion for RAM. Having opened a route to Sao Paolo in November 2014, RAM has expanded its South American itinerary to include another Brazilian hotspot. From May 6, passengers will be able to travel to Rio de Janeiro from RAM’s Mohammed V International Airport hub in Casablanca. Finally, IFD has designed a sleek and exclusive new magazine for RAM’s Business Class passengers. SkyMedia will feature details of all IFE on board, complete with editorial content and reviews. “Royal Air Maroc is an award-winning airline currently experiencing substantial growth, and we look forward to working closely with the airline to deliver innovative IFE to their passengers”, says John White, IFD’s CEO. “This appointment also aligns with In ight Dublin’s strategy of partnering with airlines that have strong growth potential”, adds John. “We’re delighted to have selected Inflight Dublin to supply a variety of inflight content to our aircraft. Our partnership with Inflight Dublin will support our strategy to enhance passenger experience through creative and relevant content,” AMINA FERTAT, Head of Product management department at Royal Air Maroc. Chicago, IL | April 21, 2016– Gogo (NASDAQ: GOGO), the global leader in providing broadband connectivity solutions and wireless entertainment to the aviation industry, announced today that its industry leading global connectivity technology – 2Ku – is now live on Aeromexico. The first aircraft to fly with 2Ku is an Aeromexico Boeing 737-800 aircraft with Sky Interior serving several destinations in the Americas. Today, the airline has five aircraft installed with the new 2Ku system. The 2Ku service will be free on Aeromexico for a limited time. 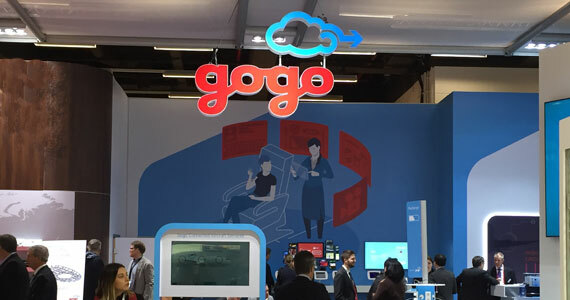 In addition to 2Ku, Gogo’s wireless in-flight entertainment solution, Gogo Vision, is now flying on 11 Boeing 737-700 and Embraer aircraft flying across Aeromexico’s regional network. Gogo’s 2Ku technology is designed to be open so it’s compatible with multiple satellite networks, which means the technology will be upgradeable over time without having to touch the aircraft. This flexibility will help ensure Aeromexico is future ready and ahead of the curve from a technology perspective. “The great news for Aeromexico is they get a leading technology today that will only get better in the near future as newer high-throughput satellites come online,” added Small. Hamburg, Germany | April 5, 2016– Airbus has selected Rockwell Collins as a lead supplier of High-Bandwidth Connectivity (HBC) for the Airbus A320 single-aisle family of aircraft, and long-range A330 and A380 aircraft. Under the terms of the agreement, airlines purchasing Airbus aircraft can select HBC from Rockwell Collins to meet the growing demand for high-speed connectivity. As a lead supplier, Rockwell Collins will collaborate with Airbus to develop and deploy both a linefit and retrofit HBC system to ensure an end-to-end managed SATCOM solution. Specific details about the technology solution will be released as they are finalized. Airbus’s HBC selection builds upon Rockwell Collins’ extensive amount of next-generation systems it supplies the aircraft maker. Numerous Rockwell Collins systems are standard on the Airbus A350 XWB and options for the A320 and A330 aircraft families. Most recently, Rockwell Collins was selected by Airbus to supply its Electronic Flight Bag interface and communications unit, which is part of its Secure Server Router portfolio, as options on A320s and A330s. Hamburg, Germany | April 5, 2016– Thales has been selected by Airbus as Lead Supplier for HBC solutions to be deployed on A320, A330 and A380 aircrafts in linefit and retrofit mode. Thales’ High Bandwidth Connectivity solutions will provide passengers the bandwidth they need to enrich their travel experience and airlines with the connectivity solution that satisfies their operational requirements. This selection is an important milestone in the long-standing relationship between Airbus and Thales. In addition to the already selectable GX Connectivity solution for A350s, this agreement enables Thales to become linefit offerable for connectivity products and related VAR services on all legacy Airbus platforms, today and in the future. HBC solutions are designed to operate standalone or connected to an IFE system. Thales’ inflight entertainment and connectivity portfolio combines innovative technologies, a global support network, with a complete ecosystem that provides airlines valuable services to improve operational efficiencies and increase passenger engagement. In this safety-critical and technology-rich environment Thales has a pedigree and global presence no other provider can match, across aviation, avionics, satellite networks, connected skies, cyber security and passenger entertainment. Hamburg, Germany | April 5, 2016– Thales will equip Hainan Airlines with its AVANT In-Flight Entertainment (IFE) system on its future fleet of wide-body A330 aircraft. The first aircraft is expected to enter service in late 2017. AVANT is Thales InFlyt Experience’s state-of-the-art Android- based IFE solution. It includes a highly customisable passenger experience with a robust selection of features and applications. The fleet will be equipped with the latest AVANT full high definition monitors, the most lightweight ever deployed, featuring high power USB charging for personal electronic devices. Hainan Airlines is a valued long-term Thales customer and a fast growing airline in the Asia-Pacific region. The airline already operates Thales IFE systems on both Boeing and Airbus aircraft. Thales is committed to providing a cherished experience for its passengers on their newest fleet additions. As part of this commitment, Thales is investing resources in China to further enhance software and media capabilities that will serve to enrich passenger experience and satisfy local market demands. Today, AVANT has been selected by 19 airlines and globally more than 230 aircraft are flying with the AVANT system. The system is available to all new generation Boeing and Airbus platforms. This issue starts the review of show vendors we talked to during AIX 16 but, as you know, there were over 500 IFE booths so we will do the best in the next few issues to cover those we had the opportunity to interview. Noted also, we have uploaded all our show still shots and you can find them here. Over the next few weeks we will try to outline all we talked to so hopefully you will get a better understanding of the some of the show participants and their products, whether you went to Hamburg or not. Further, we try to dig a little deeper into company products and services – no matter what size the company we talk to, because quite often new ideas spring from new talent – let’s get started. We also asked Steve about their status of AeroMexico and he noted that If you don’t remember, Gogo has signed a definitive agreement with Aeromexico, Mexico’s global airline, to provide in-flight Internet and wireless in-flight entertainment service on Embraer and Boeing 737 aircraft operated by Aeromexico. They are flying with their first aircraft (more installed) and they have been touting their service. Aeromexico was the first airline to commit to 2Ku and Gogo expects to deliver peak speeds of more than 70 Mbps to the aircraft and more than 100 Mbps to the aircraft when next generation satellites become available. They note that their 2Ku antenna is two times more spectrally efficient than other antennas in the commercial aviation market, which makes it capable of providing more bandwidth at less cost. We think “Muy Pronto” says it all! Lastly, we want to commend Gogo for their production and free distribution of their 100+ page book: “From the Ground Up: How the Internet of Things will Give Rise to Connected Aviation.” The book gathers insight from more than 30 of the foremost leaders in aviation and technology and is free here. Get one… It is a very good introductory aviation read on IoT. a. The digital rights management and players (Google Widevine, Apple Fairplay, Microsoft PlayReady) to be able to play Hollywood content (this is “premium content”) on personal devices and any digital platform basically. b. The content management system that allows you to manage all kinds of content (movies, newspaper, magazines, crew and passenger information, flight information, shopping items, payments, health data, etc.). Assuming you have downloaded the three (3) product charts, but in case you haven’t there are two reasons why you should – 1. Because it is clearly the way to understand what software and services they sell, and what their software does…and where it does it. 2. Never have we seen the full universe of related software, hardware, and task management needed for content handling in one understandable chart (3 actually). Get them and see what we mean, if for no other reason, Axinom understands the content universe and you need a copy of it to understand how and where the content lives in an IFE system – Brilliant! After the show, we were curious enough about Axinom to ask their CEO to answer a few questions and you can find his answers here. Finally, here are a few links to videos that explain the whole story – study them and you will probably know more about content management software than your boss! VTS is an off-shoot of Inflight Services Inc. the company which pioneered and very first to install a movie entertainment system on board a commercial aircraft about 45 years ago. Inflight was for many years the main supplier entertainment systems to the airline industry. When Inflight ceased operations at the end of 1986, the core of its senior technical staff joined in forming Video Technology Services Inc., VTS to continue supplying the customer airlines with advanced video products and the highest levels of service. The company was bought out recently, we chatted with Web Barth, one of the new management and he said: “An airline with 180 VTS DVP units on 17 aircraft has ‘documented’ a $1 Million annual savings on videotape maintenance and that does not include the savings from the videotape logistics and replacement expense.” He went on: “When you have some airline repeat for 15+ years, you get to know a lot about maintaining older systems and airlines needs with regards to maintaining entertainment quality with affordable practical solutions.” VTS’ products, we learned, include a full range of audio, video and communication equipment for system installation on any type of aircraft configuration including individual, overhead, and Audio/Video On Demand via seat integrated entertainment systems. The company stressed their ‘lowest industry price’ more than once and it seems that it is a feature they are quite proud of… noted Barth: “VTS understands how a broken seatback system provides a huge passenger service problem, especially on older long haul aircraft, but $4 – $6,000 per seat for a new seatback system ($2-$5 Million replacement) that investment in older aircraft can be daunting. The solution is the new VTS Seatback Retrofit and Upgrade System, which simply removes the old seatback monitor and very heavy video cables and junction boxes and then installing a new VTS Streaming Server and WAPs and VTS high definition seatback, touch screens, powered by the older system’s seat power, each with its own WiFi antenna and receiver. The benefits are: Immediate IFE System Improvement, cost, weight and fuel savings; Video resolution increases 400% and with new and larger screen 7″ vs 5.6″, with modern movie format 16 x 9”. The biggest benefits are savings; 1/3 of cost of conventional system replacement and very significant fuel saving by reducing 80% of the weight (500 pounds vs 2,500+pounds), which could pay for the new and better entertainment system in 2-4 years in fuel savings alone.” We asked about installation and he told IFExpress: “Now, airlines can have an affordable, super light weight In-flight entertainment system that can be installed in hours and on any sized aircraft from commuters, regional jets to Wide-bodies of any age providing the first entertainment system or IFE replacement/supplement system. Further, they can have fleet wide IFE even in their smallest aircraft or cost effectively replace/supplement an obsolete system. The VTS Streaming system server and WAPs weigh about 20 pounds and install in a few hours. For some airlines out VTS Turnkey Entertainment Content Programs can be very attractive as VTS can also provision and frequently refresh entertainment content in various languages for airlines worldwide.” It looks like airlines that want a low cost, lightweight system have another solution, VTS – check out their website or give Web a call. Ben Fuller is now with fts-aero and is Director of Marketing, Americas. Need a new, small earphone for travel? You might wait for the SONY Xperia. It could be the future of high tech earbuds! Trip Note: Lufthansa provided a great flight to Hamburg and here’s a great DLH B747 seat tip… try to get in row 29… same leg spacing as Economy Plus but at the regular economy price! Hamburg, Germany | April 5, 2016– Panasonic Avionics Corporation (Panasonic), the world leader in inflight entertainment and communications, today announced that its NFC reader is now available for in-seat production at multiple OEMs – a first in the aviation industry. Panasonic’s NFC reader is already EMV* compliant with MasterCard. The company is in ongoing discussions with major credit card providers including Visa and China Union Pay, and is opening discussions with Discover, and American Express. It expects to obtain compliance in the coming months. The announcement follows continued growth in NFC-enabled devices. A recent study from Juniper Research** found that the annual transaction value of online, mobile and contactless payments will reach $3.6 trillion this year, a 20% increase on 2015. Hamburg, Germany | April 5, 2016– Singapore Airlines and Panasonic Avionics Corporation (Panasonic) have joined forces to deliver a broadband-connected, personalized, immersive entertainment experience across the airline’s entire 787-10 fleet and A350 Ultra-long-haul fleet. This announcement comes on the heels of the delivery of Singapore Airlines’ first A350 aircraft equipped with Panasonic’s flagship inflight entertainment and global connectivity systems. Panasonic will deliver connectivity and inflight entertainment solutions that are custom-tailored to Singapore Airlines’ vision for an enhanced KrisWorld experience on board their B787-10 aircraft and A350-900 Ultra-long-haul aircraft. Singapore Airlines will be the launch customer for both fleets. 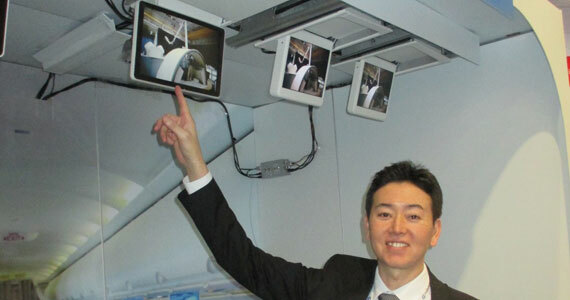 The eX3 system used by Singapore Airlines is Panasonic’s most advanced IFEC system. When used in conjunction with Panasonic’s Global Communication Services, it offers the latest in onboard technology communication solutions and over a terabyte of immersive entertainment options including the world’s most popular movies and television shows. Customers will also enjoy higher levels of personalization via the Panasonic companion app, which when integrated with KrisWorld delivers unrivaled opportunities around passenger engagement and value delivery. The experience will also include the capability to provide broadband Internet services to passenger devices and the seatback, as well as mobile phone services. Dublin, Ireland | April 4, 2016– Inflight Dublin is pleased to announce a global licensing deal with Sony Music Entertainment. The agreement gives Inflight Dublin access to hit songs from leading record labels, including Columbia, RCA, Epic, Masterworks and Sony Music Nashville. This deal allows Inflight Dublin to offer its clients various interactive inflight offerings using albums and singles from Sony Music’s impressive roster of established and emerging artists. Inflight Dublin has long prided itself on its ability to carefully choose the content it provides for its clients, tailoring its selections to the interests of airline passengers around the world. Access to the Sony Music catalogue allows Inflight Dublin to bring its long-established curatorial know-how to bear on the very best in classic and contemporary audio content. Hamburg, Germany | April 4, 2016– Rockwell Collins today unveiled its new virtual training simulator for its PAVES™ seat-centric and overhead in-flight entertainment (IFE) systems. The interactive, easy-to-use computer-based training simulates a wide variety of scenarios to help cabin and maintenance crews become proficient at operating PAVES IFE systems. “Our PAVES IFE training solution goes beyond a simple ‘how-to’ tutorial and provides airlines with a more effective training environment for ensuring crews are prepared for any situation,” said Greg Irmen, vice president and general manager, Flight Controls and Information Systems for Rockwell Collins. The PAVES IFE virtual training simulator enables cabin and maintenance personnel to practice operating a PAVES system without having to purchase extra equipment or schedule time on an aircraft. As trainees use the simulator, it instantly shows resulting changes to the entertainment control panel, in-seat monitors and broadcast monitors. The simulator also indicates changes to audio coming from control panel headphones, in-seat headphones and cabin speakers. An airline that takes delivery of a PAVES IFE system receives a customized virtual training simulator with the same configuration and branding as the actual onboard IFE system. The new virtual training simulator is part of Rockwell Collins’ complete portfolio of PAVES™ IFEC (IFE and Connectivity) solutions, which meet the passenger engagement needs of any airline and include seat-centric IFE, broadcast and wireless IFE, high-speed broadband connectivity, moving map, and passenger services systems. London, United Kingdom | April 4, 2016– Mezzoglobal is now offering a fully featured, low-cost wireless passenger entertainment app for travel operators such as airlines, coach and bus operators, train companies, cruise operators and ferry lines. It is available for both iOS and Android and can be configured to work on any hardware. The app also offers a video on demand (VOD) option that passengers can use at any time they are connected to the internet. The app allows passengers to use their own mobiles and smartphones to view content such as movies and TV, listen to music and other audio, and to read magazines and other literature. As well supporting video, audio and digital publications, the Mezzoglobal app provides many features that are familiar on an installed system, such as passenger interrupt, system control from a mobile crew device, passenger crew call, integrations for social media and many more. In addition, the app also enables content to be used when not connected to the on-board servers by using the VOD option. The Mezzoglobal app is already linked to the new ContentMarket.place that has just launched, and which is the newest way to licence content for all passenger entertainment. Turkey | March 2016– The Wireless Inflight Entertainment System, “SKYFE”, developed jointly by HAVELSAN and TURKISH TECHNIC has won the Turkish Airlines tender. According to the results of the tender, 44 airplanes of Turkish Airlines will fly with the first “Made in Turkey” IFE System, SKYFE. The Wireless Inflight Entertainment System, SKYFE, developed within the scope of the Strategic Partnership Agreement between Turkish Technic and HAVELSAN is now in the sky… Turkish Airlines, flying to more points than any other airlines in the world, and a Star Alliance member, will have 44 of its airplanes equipped with SKYFE. The Turkish Airlines tender, where Turkish Technic and HAVELSAN participated jointly, was won with two important IFE products: Wireless Inflight Entertainment System and Tablet Based Inflight Entertainment System. According to the results of the tender, Turkish Technic and HAVELSAN partnership crossed the finish line ahead of seven other firms. The tender was won with the participation of two family products, the Wireless Inflight Entertainment System known as SKYFE‐W and the Tablet Based Inflight Entertainment System known as SKYFE‐T. completed in a short period. The Inflight Entertainment System, is one of the services that is emphasized by many airlines in recent years in order to increase passenger satisfaction, and the SKYFE‐W, presents an innovative approach with passengers able to download applications from the platforms such as Google Play and Apple Store to their own personal electronic devices (tablets, laptops, smart mobile phones) during preflight and access wireless entertainment system which provides Audio and Video on Demand, Flight Map, Electronic Publications, Surveys and other services during the flight. 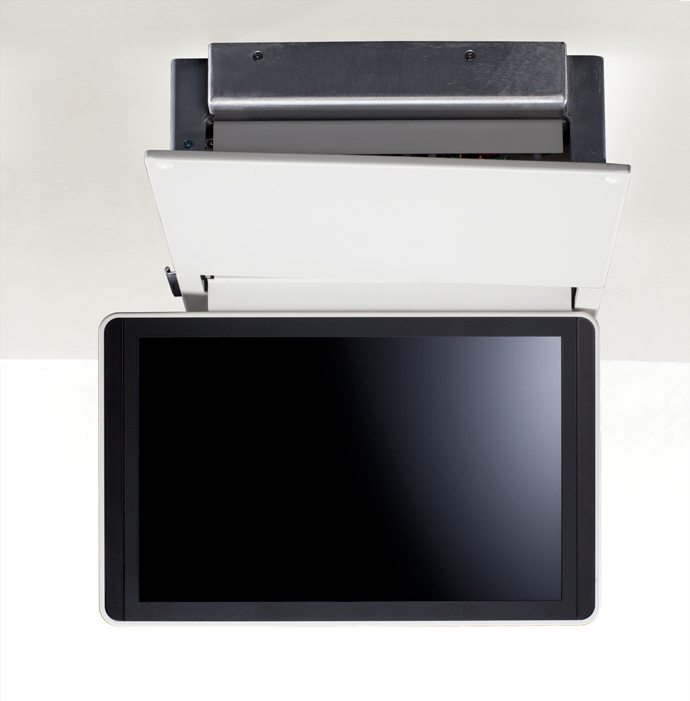 The SKYFE‐T System, in particular on flights where Inflight Entertainment System is not available, provides an entertainment service to Business Class passengers by providing high resolution tablets. With the preloaded tablets (films, music, magazines, documentary, surveys etc. ), Business Class passengers will have a special entertainment opportunity with high video quality. The SKYFE‐T System, when used on airplane with the Wireless Inflight Entertainment System (SKYFE‐W), will automatically connect to the existing server on the airplane will access a 1.8 Tbyte media content while at the same time provide access to maps and flight information (height, speed exterior temperature etc.). Selected as the ʺBest Airline Company in Europeʺ* for five years in a row, Turkish Airlines, by providing a unique opportunity with SKYFE as the perfect entertainment in inflight experience for its passengers, is able to install the system in its Boeing 737 airplane and continues its activities to install the system in its Airbus A320 airplane family. Targeting to be a strong brand name among Wireless Inflight Entertainment systems with innovative design and the advantages it provides, SKYFE‐W is demonstrating a successful performance even during the certification process completed in a short period. The Inflight Entertainment System, is one of the services that is emphasized by many airlines in recent years in order to increase passenger satisfaction, and the SKYFE‐W, presents an innovative approach with passengers able to download applications from the platforms such as Google Play and Apple Store to their own personal electronic devices (tablets, laptops, smart mobile phones) during preflight and access wireless entertainment system which provides Audio and Video on Demand, Flight Map, Electronic Publications, Surveys and other services during the flight. The updated Venus AirFi Box offers enhanced streaming capabilities, killer curves and robust constitution for a long life in tough airline operational conditions. Amsterdam | March 31, 2016– Dutch supplier of increasingly popular and cost-effective portable IFE streaming solution, AirFi, will launch a new generation of hardware at Aircraft Interiors International in Hamburg. Like the incumbent Moon AirFi Box (re-branded from AirFi Box), the new Venus box enables airlines to stream a wide variety of engaging content to passengers’ own mobile devices inflight. This content can include newspapers magazines in multiple languages, HTML 5 games, onboard chat, crew interface functions, video, payment portals and more. The new hardware solution, also offers a series of improvements over its predecessor. “The Venus AirFi Box is robust and attractive. New materials and manufacturing techniques enable custom colours (the Moon box is grey) with a tight, durable, and modern design to help it handle the tough job of being a completely portable piece of cabin equipment,” says Job Heimerikx, CEO at AirFi. Venus also improves on Moon by offering an integrated moving map feature and automated aircraft positioning display – something passengers value and check frequently. Both the Moon AirFi Box and Venus AirFi Box use a safe, yet powerful, Lithium Iron Phosphate (LiFePO4) battery pack which can last for up to 15 hours and re-charge in as little as four. LiFePO4 cells have a constant discharge voltage and are considered far more stable than Lithium Ion chemistries. Both boxes employ HTML 5 technology, which means passengers don’t need to download an app for quick and easy access onboard streaming services. Airlines already using the AirFi Moon Box, or those with Moon on order, can upgrade to Venus for an incremental hardware cost and, more importantly, can do so without missing a beat in their onboard digital services. AirFi will showcase the Venus AirFi Box and begin taking orders on stand 2C70 at Aircraft Interiors Expo, April 5-7, in Hamburg. Current and future customers, media and fans of #PaxEx innovation are invited to drop by and learn more, or contact AirFi directly. Melbourne, Australia and Dublin, Ireland | February 17, 2016– CloudStore by Arconics, the next generation, feature-rich, scalable and cost effective Wireless In-Flight Entertainment (W-IFE) platform, has been selected by Tigerair Australia for the airline’s first short-haul services to Bali commencing March 2016. Flights between Australia and Denpasar are operated by Virgin Australia International, providing a Tigerair Australia service, and are subject to regulatory approvals. CloudStore will allow Tigerair Australia to offer a mix of free and paid content offerings to their customers on the Boeing 737-800 fleet of aircraft which the airline will use for its international services. Content will be a mix of Hollywood and Australian movies as well as international and local TV programmes, music and real-time destination mapping. Over time, more features will be introduced to the platform. CloudStore Wireless IFE will be on display at Aircraft Interiors Expo (AIX) in Hamburg, Germany, 5-7 April 2016. Arconics will be at stand 4E10 in hall B4. Los Angeles, CA | February 18, 2016– Global Eagle Entertainment Inc., (Nasdaq:ENT) (“GEE”) a worldwide provider of aircraft connectivity systems, operations solutions and media content to the travel industry, today announced passengers aboard Air Transat’s Boeing 737 fleet are the first to enjoy its revolutionary app-based Airtime Content-to-Go inflight entertainment (IFE) service. Named ‘Best North American Leisure Airline’ at the 2015 Skytrax annual World Airline Awards, Air Transat has chosen the breakthrough solution to quickly and efficiently deploy IFE across its growing fleet of narrow-body aircraft, which was serving both seasonal and year-round routes without an IFE platform. Air Transat now provides its passengers with a customized version of Airtime Content-to-Go, branded to the airline’s popular ‘CinePlus B’ entertainment offering. Airtime Content-to-Go provides a fast-to-market inflight entertainment service that requires no installed hardware onboard the plane. Passengers download a mobile app and content pre-flight on their smartphones and tablets to enjoy a wide range of movies, TV shows and other entertainment choices during their flight. The solution features Hollywood-approved Digital Rights Management (DRM) technology and integrates with an airline’s reservation system to securely manage content viewing windows. GEE’s extensive ground infrastructure enables passengers to browse and download content to their personal devices anywhere in the world. Airtime Content-to-Go is part of GEE’s Airtime platform – a cutting-edge suite of IFE and connectivity solutions – which won this year’s Inflight Award for ‘Best Handheld or Wireless IFE system’. On the ground and in the air, Airtime enables airlines to connect with their passengers in a personalized way across numerous digital touch-points. The Airtime inflight portal is deployed on approximately 700 aircraft today and provides rich IFE and connectivity services. The Airtime app and lounge portals deepen customer engagement and extend the passenger experience beyond the cabin. Airtime Content-to-Go is a value-added service that works as a stand-alone app and can also quickly integrate into GEE’s comprehensive Airtime IFEC solution and/or an airline’s existing mobile presence. Dubai, United Arab Emirates | February 15, 2016– flydubai recently launched its new website, offering an enhanced browsing experience to inspire customers to explore its network of 89 destinations. The airline’s new website, which is available in English, Arabic, and Russian, has been redesigned to offer a fresh look and feel and many new features. When visiting flydubai.com, customers are now offered a more personalised online experience by receiving customised content based on their location and previous interaction with the site and a layout that automatically adjusts depending on the device being used. In addition, new destination guides and travel tips provide inspiration for planning the perfect trip, holiday or last-minute getaway to one of flydubai’s hidden gems such as Bratislava, Tbilisi and Zanzibar. Visit flydubai.com today and flydubai to where you want to be. London, UK | February 10, 2016– Now in its fourth year the Passenger Experience Conference (PEC), the leading global conference and networking forum delivering content, driving innovation and developing connections for the global passenger experience industry, returns Monday 4th of April in Hamburg, Germany. The annual conference will offer delegates a chance to learn from industry specialists and visionaries, exchange knowledge and engage in lively debates, centred on the future trends of the passenger experience industry. In-depth breakout sessions, with moderators including Blake Emery, Director of Differentiation Strategy at Boeing and Rich Salter, Chief Technology Officer of Lumexis, will discuss and debate these elements of the passenger experience. Keynote speakers at each session include Garen Moreno from BMW Group Designworks, who will lead a discussion on ageing travellers and the digital age. Juan Carlos Iglesias from Immfly will discuss e-commerce onboard in the IFEC session and Chris van Rÿswÿck from Pragma Consulting will explore the game changing ancillary to create a seamless digital experience. Joining Chris to discuss hospitality, service and retail opportunities, Vassilios Georgakopoulos, Director Product Marketing and Michael Wahl, Vice President Product Marketing and Innovation of LSG Sky Chefs will discuss the evolution of industry and passenger needs. Other experts speaking at the global conference and networking forum will be Ian Scoley, Vice President Industrial Design of ZEO, Zodiac, Niels Steenstrup, Senior Vice President of Global Airline Sales at Gogo and Alexis Steinman, Senior Vice President of Digital Media Solutions at Global Eagle Entertainment. “This is an exciting time to be a part of the passenger experience industry and the Passenger Experience Conference cannot be missed. Travellers are looking for so much more than just a flight from A to B and the conference is all about defining the future of the passenger experience industry and showcasing what it has achieved in the cabin, in IFE and in hospitality. Closing the day before the Industry Networking Party, will be the highly anticipated Leaders in Innovation session where delegates will be provided insights on how to drive innovation from speakers Don Buchman, VP and General Manager Commercial Mobility at ViaSat and Michelle Lee, Director of Marketing and Guest Experience, Aer Lingus. Following the speaker sessions, visitors, exhibitors and industry VIPs will also meet at the Industry Networking Party, providing a further networking opportunity with leading figures and decision makers representing the entire passenger experience industry. The PEC will kick off Passenger Experience Week, followed by the Aircraft Interiors Expo (AIX) and World Travel Catering & Onboard Services Expo (WTCE) from 5th to 7th April 2016. AIX, now in its 17th year, will present the latest innovations, technologies and products in the cabin interiors, inflight entertainment and passenger comfort industries. This year’s event will host more than 60 first time exhibitors including Spafax, Comfly, Mirus Aircraft Seating, and long-attending exhibitors from 530 companies across the interiors industry such as Panasonic Avionics, B/E Aerospace, Airbus S.A.S. Zodiac, Boeing, alongside several others. AIX will also announce the winners of the Crystal Cabin Awards, who will be celebrating their 10th anniversary at the event. Returning to Hamburg for its 5th anniversary, WTCE is the leading event for travel catering, onboard retail and passenger comfort. 2016 will offer a unique platform for professionals across the air and rail industry to source a wide range of product innovations from over 300 international industry suppliers including exhibitors such as LSG Sky Chefs, Global Inflight Products, gategroup, Albéa, Colpac Ltd, Anaik and The Bake Factory, part of the Crantock Food Group. With new products and fresh ideas for the onboard offering on show, WTCE 2016 will also host a wide range of networking events and demonstrations from world-class chefs. Earlybird conference rates are currently available, offering delegates the chance to save over 20 percent. To book a place at the conference, delegates must register for either Aircraft Interiors Expo (AIX) or World Travel Catering & Onboard Services Expo (WTCE). For more information or to register today, please visit http://bit.ly/1SZZPAx. Roissy CDG | February 1, 2016– XL Airways has begun to test a new in-flight entertainment system with immersive cinema glasses. Skylights, a French start-up, developed them specially to satisfy inflight requirements. They offer passengers a unique cinema experience at 30 000 feet. XL Airways is the first airline to test this type of device in Europe. XL Airways constantly explores new IFE solutions. Since its launch in 2015 in partnership with the Parisian company Interactive Mobility, the rental service of Samsung tablets is a clear success. The airline recently increased the number of tablets offered for rend in economy class. These are still graciously offered in Premium Galaxie class. This time, XL Airways partners up with the French start-up Skylights to test a new IFE system with immersive cinema glasses. The goal is to offer passengers an immersive experience akin to sitting right in the middle of a movie theater, for 2D and 3D movie-viewing. Skylights’ glasses are suited for inflight use in terms of weight, size, autonomy, and content security. XL Airways is the first airline to choose Skylights’ glasses, and more globally, to test this kind of IFE system in economy class. A first test phase has been conducted on four flights towards Antilles and Reunion island. Feedbacks are particularly enthusiastic. As the first phase went particularly well, a second test phase will be set up on a larger scale in the coming months, to potentially start commercialization in the course of the year. Lake Forest, CA | February 1, 2016– Panasonic Avionics today confirmed that over 1,000 commercial aircraft are operating on its Global Communications Services network. Panasonic’s worldwide Ku-band satellite network today delivers broadband communications services and global live television over 99.6 percent of all commercial aviation routes. The 1,000th aircraft was a B777-300 that was line fit at the OEM and delivered in mid-December to China Eastern Airlines. Since then, Panasonic has equipped an additional 25 aircraft, bringing the total number to 1025. Over 50 percent of all airlines with connected aircraft have chosen Panasonic Avionics. The company has approximately 70 airlines and 3,000 aircraft committed to its global broadband connectivity service. It expects to add an additional 12,000 to its network by 2025. In 2016, the company projects to add another 600 aircraft to its network, and 34 percent of these installations will take place at the OEM during production. Today, Panasonic is the only inflight connectivity provider that is line fit offerable at the major aircraft manufacturers.